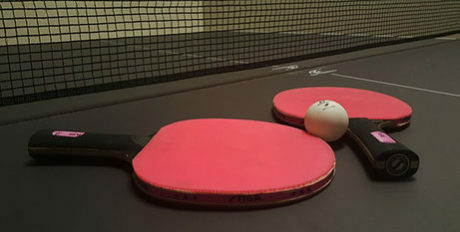 Congratulations to first place Marcus Lum of Mount Vernon, second place Joe Kantor of Anacortes, and third place San Juan Island local Roger Paul for being big winners in the 8th Annual Table Tennis Tournament this weekend in our Singles bracket. In our Doubles tournament, Joe Kantor and Hiroshi Kakaki of team Paddle Pals took home the gold. Second place went to Roger Paul and Luc Durette of team They Who Must Not Be Named. Lastly, third place went to the unlikely pairings of team Cream and Shugah, Marcus Lum and Gray Hope. Thanks to everyone who participated and made it a great day. And a huge thanks to Mi Casita, Golden Triangle, House of Jerky, Ernie’s Café, Crow’s Nest, and Friday Harbor Espresso for the fabulous prizes.